How Does Magnesium Help With Weight Loss? Magnesium is a mineral and everyone needs it. Is it a “magic bullet?” Maybe not quite but just about everyone can benefit from taking it. Most people don’t get enough magnesium. 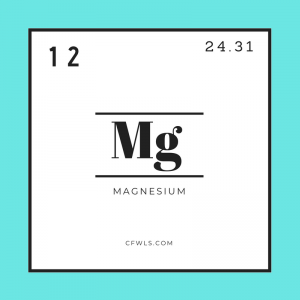 It’s very likely that if you got your blood levels checked your magnesium would be normal. It’s not your blood that needs magnesium. You need it in your tissues. Magnesium plays an essential role in over 300 bodily functions. -You can’t produce ATP (energy) without magnesium. It’s essential to build strong bones. -It also helps the formation of insulin-like growth factor, which is very important in muscle growth. So, we need it for growing muscles. -It also helps improve stress hormones. -It increases serotonin levels which helps with better sleep. -It helps with overall relaxation and helps improve mood. -It is very important for muscle relaxation. If you’re prone to muscle cramps or if you have a hard time going to sleep and can’t relax, magnesium can help. -It’s also important in regulating blood sugar. 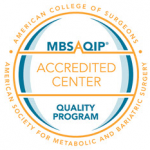 -It decreases inflammation, improves immune function, and improves and relieves constipation. -Magnesium is the working ingredient in Milk of Magnesia. One of the things that can decrease your overall magnesium is caffeine. 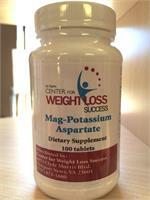 Phosphoric acid decreases magnesium. It’s in almost all sodas and steals magnesium so it’s not available in your tissues. Alcohol and chronic stress also steal magnesium. Some things we can avoid but others we can’t completely avoid. The bottom line is that almost everyone can benefit from extra magnesium. So, how much or what should someone take? I encourage people to start with 500mgs a day. You may want to slowly increase that, especially if you’re prone to muscle cramps and tight muscles. You can take massive doses of magnesium as long as you have decent kidneys. So if you have kidney problems or poor kidney function then you do have to be careful with magnesium. If you don’t have kidney problems you can take big doses because your body will get rid of it if you get an excess. The way it gets rid of it is—well it relieves constipation! If you do have constipation just start taking 500 mgs of magnesium a day and just start increasing that. Each day you can slowly go up. You’ll get to a level that keeps things regular for you. If you take too much, you’ll get loose bowl movements but that’s about it. I take about 1000 mgs of magnesium every day. If I stop taking it for a few days or I miss a few days I’m really prone to muscle cramps. If you’re prone to muscle cramps you know what I’m talking about. It’s misery! Magnesium probably isn’t the cure-all but it does help with better sleep, better mood, lowers stress, improves energy, improves flexibility, and prevents cramps. What’s not to like!? This entry was posted in Hormone Health and Wellness, Weight Loss Nutrition and tagged balance, CFWLS, constipation, diet, dietary supplement, Dr. Thomas Clark, exercise, goals, Lean body mass, low carb, magnesium, mood elevation, motivation, muscle cramps, patient support, potassium, regulating blood sugar, relaxation, success, tips, water, weight loss on July 23, 2018 by CFWLS.